‘But one thing I did know was that I needed to do something in order to hold on to an accurate record of my memory. Leave it alone, and it would disappear somewhere. 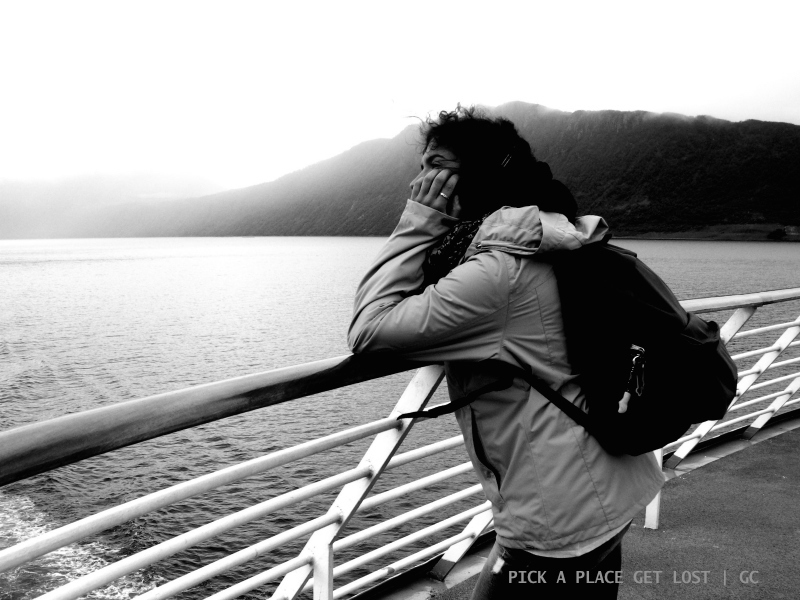 Predictably enough, ‘Pick a place get lost’ is a travel blog. Here you will find stuff about cities and countries I’ve been to, whether they are day trips out of town or proper travels. The main focus of the blog are the North (especially Norway) and Eastern Europe, with a number of inevitable (and sometimes necessary) exceptions. The blog logo is a duck. That’s because (think about it!) ducks are virtually everywhere, so they make for a cool, yet familiar symbol of all-round travelling. The blog comes with (bi-)weekly posts, plus, if you follow on Facebook, Twitter and/or Instagram, you get a daily dose of photo series as well. I’d love you to stick around! As for myself, my name is Giorgia. At some point I realised ‘going on holiday’ had turned into ‘travelling’, which is something I still haven’t got tired of, since I first grew used to it. In fact, quite the opposite. I’m Italian, I have a degree in Interpreting (Italian, English, Russian and a bit of Slovak), and I’m currently based in Czech Republic for work-related reasons (i.e. I’ve found a job in Brno). I expect I will be heading elsewhere at some point, though. Aha, this is The Question. 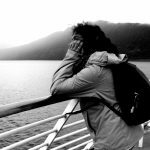 I honestly don’t know why anyone could possibly take an interest in what I write, plus I’m well aware the web is overloaded with travel blogs these days. So, no, I don’t think I know for sure why I’m doing this. 1. If somebody asks me about something I’ve seen or some place I’ve visited, I feel that I could go on talking about it for hours on end – which, I understand, is not something one can really do, nor is it something even the most sympathetic listener could tolerate. So having this ‘free space’ is a good way to just say all I’ve got to say about things and places without forcibly bothering a specific interlocutor, but only entertaining the voluntary reader. After all, as Offred rightly points out in Margaret Atwood’s The Handmaid’s Tale, ‘if it’s a story, even in my head, I must be telling it to someone. You don’t tell a story only to yourself. There’s always someone else. Even when there is no one’. 2. I’m told I retain extremely vivid memories of the places I visit: what things look like, what is where, what is which colour, and the like. But what if I forget? What if suddenly I don’t remember anymore? At least, this ‘free space’ will also work as a powerful reminder of the things I’ve done and seen, should the need ever arise. This blog is about places and travel. It’s about what is out there and how to get there. True, everything is inevitably filtered through my eyes, and that is something I cannot help. There is, though, a ‘golden rule’ I have gradually started to apply, and it’s that places are the primary focus of my writing. The first and oldest posts are a little or a lot more subjective, on average. Gradually, though, I have tried and shifted the focus toward the place itself. While personal experiences, funny episodes and subjective remarks add to the picture, and contribute to making it more vivid and colourful, I still want to talk about places: nature, cities, lakes, forests, and all the beauty that is out there – because it’s the best we have in this world, and we should never forget that (cheesy as this might sound, it’s actually true). And if I ever manage to take you somewhere only with my words, well I’d be super honoured and uber pleased to hear that. The blog is entirely bilingual, English-Italian. Alongside the English version, I thought I’d also write in Italian for at least two reasons. For one thing, it’s my native language, and why wouldn’t I want to also use my native language? What’s more my Mum and my Dad aren’t too familiar with the wonders of the English language (euphemism intended). I mean, I had to make sure they too could read my posts.